Peter Ewan Reid was born at Lowood in Queensland in 1952 and grew up on a nearby property situated on the Brisbane River at Wivenhoe where the Reid family was amongst the early settlers in the area. His parents’ farm was mainly devoted to fattening beef cattle but also had some crop production, mainly pumpkins. Peter’s schooling took place largely at small country schools ‘ the one teacher Wivenhoe (until its closure) and two teacher Fernvale schools for primary schooling and the small secondary department at Lowood for the early high school years. The final two years of high school were completed as a boarder at Ipswich Grammar School. Growing up on the family farm instilled a love of country life and agriculture and Peter elected to study agricultural science at university, obtaining his Agricultural Science degree from the University of Queensland in 1975. In 1976, he commenced working for the CSIRO Cotton Research Unit at Narrabri in northern NSW. Initially he was involved with early entomological research endeavouring to find methods to manage the serious insect problems that were besetting the expanding eastern Australian cotton industry and which had led to the demise of the Ord River industry a few years before. This research contributed to the development of the SIRATAC Cotton Management System which was designed to bring more objective decision making to cotton growing. In 1979, he moved to the cotton breeding program working with Dr Norm Thomson who had bred cotton in the Ord and who was now leading the Cotton Research Unit at Narrabri. At the time the cotton industry in Australia relied on USA bred varieties which had numerous deficiencies, including mediocre fibre quality and disease and insect susceptibility. Peter’s major focus was on varieties for cool growing areas and late plantings. Starting with a number of successful variety releases from Norm Thomson’s program, CSIRO varieties gradually came to dominate Australian cotton plantings although Deltapine, a large USA cotton breeding company, established an Australian operation and provided stiff competition. CSIRO varieties are marketed by Cotton Seed Distributors (CSD), a grower controlled company which also has an international arm, Cotton Seed International (CSI), which has successfully marketed CSIRO varieties in Europe, USA and South America. The first release from Peter’s program was the early maturing variety, CS 6S in 1989. However his first major varieties were the first Australian varieties with strong resistance to the fungal infection Verticillium wilt, Sicala V-1 (1991) and Sicala V-2 (1994). These varieties, particularly Sicala V-2, were very widely grown in Australia and became very successful in overseas markets. Other key varieties include Sicot 189 and Sicala 45 for resistance to fusarium wilt (a serious fungal disease which emerged in the 1990s); Siokra V-16 for adaptation to rainfed systems; Sicala 40 for earliness combined with good yield and fibre quality; and Sicot 71 for exceptional yield potential (including unofficial world record yields). A number of the varieties have been international benchmarks in yield, disease resistance and fibre quality. The introduction of transgenic varieties has helped to transform the Australian cotton industry and Peter has been heavily involved with their development. Insect and herbicide resistant versions of a number of his varieties have been released, bringing improved and more environmentally friendly insect and weed management. 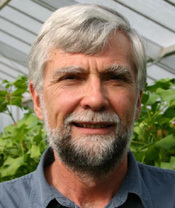 Peter Reid retired in 2007 although he continued to play a part-time role in CSIRO’s cotton breeding program as a Post Retirement Fellow.